Solo travel is often misunderstood by the uninitiated. Some see it as an exercise in solitude, or a way to unplug. But if you’re an avid solo traveler, you know that it’s about more than being alone, or leaving the world of Wifi. It’s more about creating your own adventure and doing new things at your own pace. And meeting new people can be a big part of that. The key to a good solo trip is a combination of spontaneity and the opportunity to do something bold. Whether that’s taking a two-day hike to summit a mountain or simply mixing with the locals, solo travel can open you up to new experiences and make you feel alive. The only question is — where is the best place to go if you want to strike that elusive balance? To find out, we surveyed over 1,000 people nationwide, with participants ranging in age from 18 to 55 and over. Keep reading to find out which city scored the highest for solo travelers. Hint: Pearl Street. 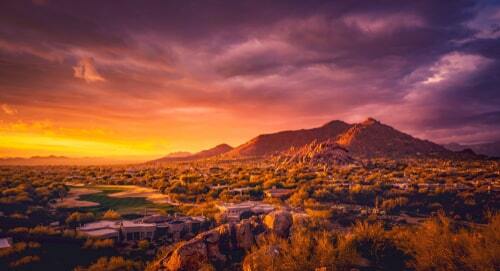 Scottsdale, Arizona (25.3%): If Scottsdale proves one thing, it’s that nature and art are inextricably linked. Situated between Phoenix and Tonto National Forest, it is an excellent choice to experience that interconnectedness within the context of the Arizona desert. And it’s that unique and alluring quality which makes for an ideal solo-traveler destination for those who want a full and satisfying travel experience. 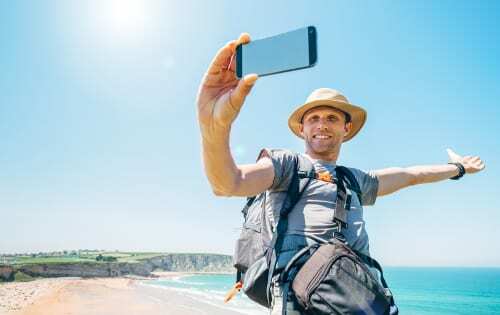 While that quality is oftentimes thought to translate to a quieter travel experience, that doesn’t mean there isn’t also plenty of lively activity to occupy you during your stay. There’s canyoneering and ATVs, stand-up paddle boarding, and horseback riding, to name a few desert-centric options that would keep any active solo traveler entertained while enriching the experience with a dose of the untamed wilderness. (And, for the truly ambitious, there’s also the opportunity to check a world heritage site — the Grand Canyon — off your bucket list.) When you aren’t out adventuring, consider taking an art and wine class in town, or visit the Musical Instrument Museum to round out your trip. 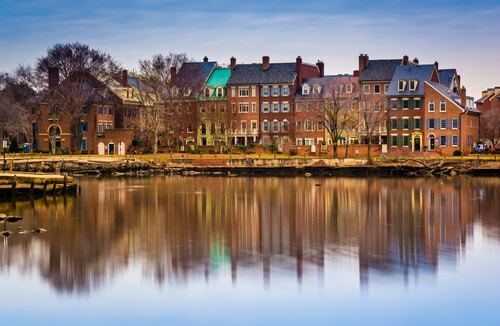 Alexandria, Virginia (19.98%): Being situated so close to D.C., Alexandria is one of those beautiful little towns that could easily escape your notice — but it shouldn’t. It’s awash in history and cultural offerings that are not to be missed, particularly for those solo travelers who want a healthy mix of food and fun, topped off with a bit of retail therapy. Explore the city’s old town, rent a bike and tackle one of its many paths (the Mount Vernon Trail is an excellent option), get onboard a river boat, or simply stroll down the King Street Mile and take in the city’s old-world charm. The Torpedo Art Factory is another popular destination, as are Mount Vernon, the city’s Apothecary Museum and Go Ape Zip Line and Treetop Adventures. But to feel that unique rush that comes from solo travel, check out Captain Gregory’s — a secret bar, hidden away behind the door of a donut shop (just remember to text first for a reservation). Ann Arbor, Michigan (14.48%): College towns are almost always a good choice for those looking to experience a solo vacation filled with action and intrigue, oftentimes mixing small-town vibes with big-city amenities. Ann Arbor is no exception to this rule. In fact, there are plenty of fun sights and attractions right on campus, like: Matthaei Botanical Gardens and Nichols Arboretum, the university’s Museum of Art, and Nickels Arcade. Not to mention the opportunities for exploring the natural beauty of the area (Bandemer Park and Hudson Mills Metropark, for example, are solid options for nature lovers). 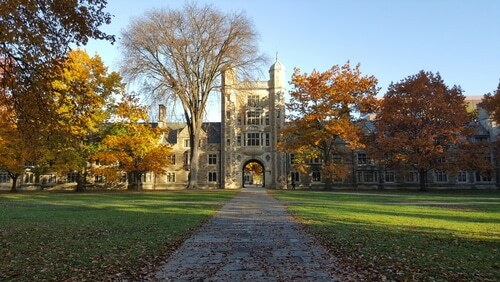 And a huge plus for Ann Arbor is it’s intentionally inclusive and LGBTQIA+ friendly atmosphere, with a year-round list of inclusive events that solo travelers of all backgrounds can enjoy. 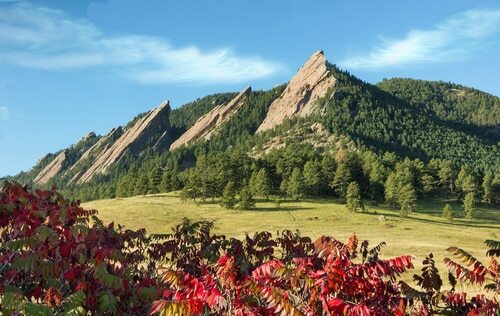 Boulder, Colorado (29.88%): The city of Boulder is home to about 100,000 people and is located at the foothills of the Rocky Mountains. So if you’re looking for outdoor adventure, it’s an ideal spot. But even if you’re more interested in the social scene, there’s still a lot going on. If you’re 21 or older, and are excited about the idea of solo travel but would like a bit of liquid courage to break the ice, consider checking out one of the many local breweries and wineries in Boulder. Those with a taste for beer are in luck, the up-and-coming brewery scene is showing no signs of slowing, with many slated to open in the months to come. 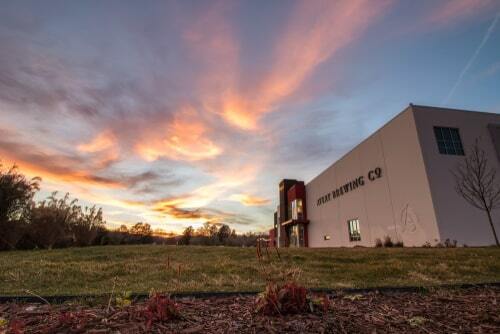 You can even combine your brewery tour with yoga — Sanitas Brewing Company offers weekly classes. And if you happen to visit during the colder months, consider checking out the Winter Craft Beer Festival to mingle with locals while you imbibe. Alternatively, if you’re feeling fancy or are partial to wine, check out one of the areas many wineries. A few popular options include: Settembre Cellars, Bookcliff Vineyards, and, for a truly unique experience, Redstone Meadery, which produces honey wine, also known as mead. If you’re looking for more of a concert-vibe for your solo trip, consider going to a concert at some point during your stay in Boulder. 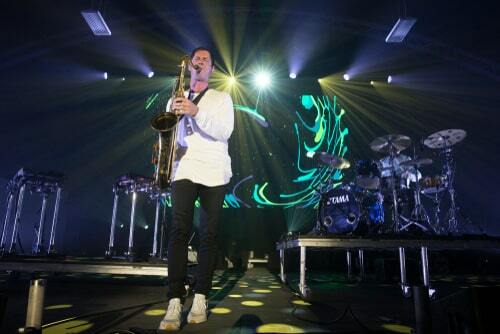 And, if music is your ideal show, there are a couple solid venue options to choose from. Boulder Theater, for example, is located downtown and regularly showcases local acts. Another option is the iconic Fox Theater, which was voted the fourth best club in America by a host of musical insiders, as reported by Rolling Stone. Those with more dramatic tastes should consider the Colorado Shakespeare Festival, while film buffs can head over to the Boulder International Film Festival. When you’re staying in a place that’s so close to the Rockies, it’s only natural to think about hiking. And Boulder’s proximity to gorgeous trails, and the fact that it gets over 300 sunny days per year, is a huge draw for nature-lovers. Pair a day-hike with whatever fresh food you picked up at the Boulder Farmers Market earlier in the morning, and you’re set. Alternatively, there’s also a bit for a rock-climbing scene in the flatirons if you’re interested in hiking out to traverse the boulders and rocks that adorn rougher trails. The popular and protected trails of the Open Space and Mountain Parks manage over 150 miles of trails and also come with some surprising amenities. The city’s website, for example, can point you to trails that are accessible to those with disabilities. And if you’re interested in dog-spotting, you’re in luck: About 90% of those trails are open to dogs. A few areas you might want to check out: Chautauqua trailhead, which will bring you through the famous red-brown Flatirons, or discover a trail in the scenic Rocky Mountain National Park, or the uber-popular Brainard Lake recreation area. 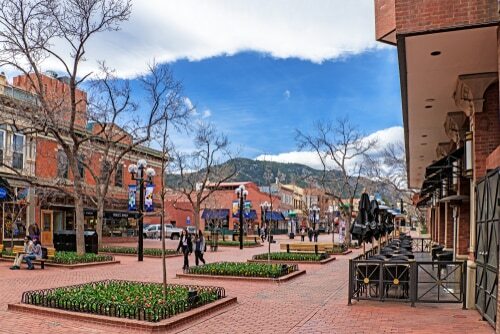 Built during 1975 and ‘76, the Park Street Mall is a brick-paved promenade that acts as Boulder’s cultural and recreational center for the downtown area. It’s the ideal spot if you’re going for more of a cultural-immersion approach to exploring the city. The mall lined with tons of shops and nearly 120 restaurants, including James Beard Award winners, that can provide a great opportunity to spend a few hours getting to know the city and maybe even making a few friends. It’s also home to Bands on the Bricks, a summer concert series for local bands. 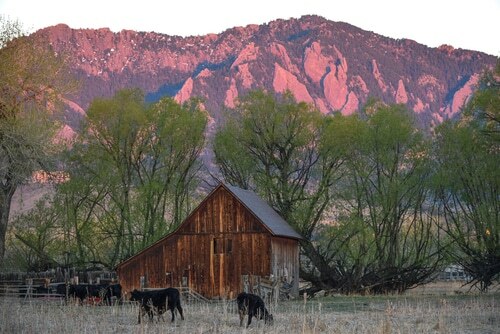 Whatever your ideal solo trip, Boulder has tons of options to turn a vacation into an adventure. And you can use VacationRenter to find the place to call home for your stay.